You’re too loud. He’s too meek. She doesn’t understand. You don’t have enough experience. She’s too forceful. He’s inauthentic. He’s too pragmatic. She’s not a realist. They don’t get it. You’re too enthusiastic. They’re not responsive enough. Are we going to win together or fool ourselves into thinking we can persevere separately? Any study of great teams shows that the members of those teams spend little time minimizing teammates. (In fact, they won’t tolerate it.) Together, they ask for – in fact, they insist on – people being the truest expression of who they are. They don’t require people to be less, they ask for more in a way that delivers the mission of the team. 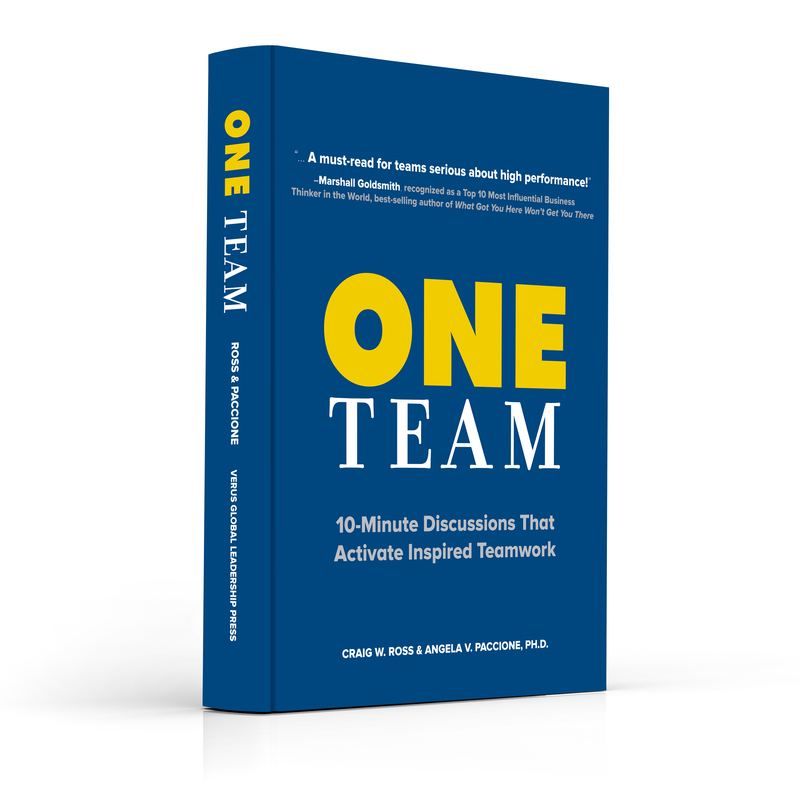 Collective potential is left un-activated when a team gets less than the best from any of its members. Who we really are when we’re allowed to be ourselves is one of a kind. Accomplish this collectively as a team and we amplify a brilliance that differentiates us – which is ultimately what the market is demanding. 1. What does it look like for us to go beyond tolerating the differences in others, to actively cultivating those differences? 2. How and in what situations are we effectively honoring and leveraging our diversity? 3. Where and in what ways can we admire, respect, and “have each other’s back” even more? Bonus: Is honoring diversity really important to us? And if so, why?